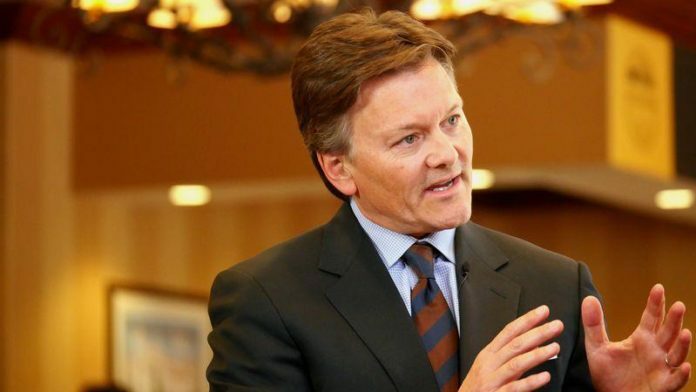 ANGLOGOLD Ashanti put clear blue water between itself and recent merger and acquisition activity in the global gold industry saying today in comments to its full-year results today that it would predicate the business on “predictable, rational behaviour”. “The M&A transactions have happened for various reasons. They’ve got good management teams and for them it makes sense,” he added. Earlier this year, it was speculated that AngloGold Ashanti and Gold Fields might merge – market chatter that has been dismissed. However, Dushnisky said the group would set about hiving off assets that it didn’t believed fit its future profile, adding Cerro Vanguardia, the Argentina mine to a ‘for sale’ list that includes Sadiola in Mali, put on the block last year. “Cerro Vanguardia has been great asset for more than 20 years and continues to be,” said Dushnisky who added its sale might be completed this year. “Strategically, our focus is on areas where there’s critical mass based largely on the geological potential, and in this instance, as a standalone, it doesn’t fit into that profile. Having said that, it’s a valuable asset so the bidding will be robust,” he said. The natural question is why AngloGold Ashanti didn’t attempt to sell its remaining South African assets of either Mponeng or Mine Waste Solutions. The consensus is that they are in a gold mining district that is mature and high cost. But Dushnisky said there was no immediate pressure to consider its sale. “Mponeng and Mine Waste Solutions are good assets: they have good infrastructure; a large reserve, and improving fundamentals, and it’s an asset where don’t need to make a material capital investment for eight years. At this point, we don’t need to make a decision so we are focused on the assets that we have identified for investment,” he said. Pressed as to whether there might be other asset sales in time, Dushnisky replied: “It is fair to say that there could be more asset sales, but I don’t want to put a timeline on it”. AngloGold Ashanti produced strong year-end numbers reporting an increase in headline earnings to 53 cents/share from six cents in the 2017 financial year owing to an absence of amortisation costs of assets since sold. On an adjusted earnings before interest, tax, depreciation and amortisation basis, the number was flat year-on-year in at $1.48bn. The price received in dollars was also flat but AngloGold Ashanti made significant in-roads on its cost base, again owing to the sale of high cost South African assets. All-in sustaining costs (AISC) were $976/oz compared to $1,054/oz in the 2017 financial year. Cash flow was subsequently improved: increasing to $67m from virtually no free cash at all in 2017. Net debt was also cut down to $1.7bn from $2bn as of December 31, 2017. Dushnisky said a decision had been made to lower the EBITDA to net debt target to 1x compared to 1.5x as per the previous target. On the year-end’s metrics, this ratio stood at 1.12x which was “closer to the target”. Dushnisky also commented that the dividend – which he described as “modest” would be paid out before spending on expansionary capital. Asked if his reference to the modesty of the dividend implied a revisit of the policy, he said: “… an increasing dividend is the direction of travel” the company would like to go notwithstanding the capital requirements of re-commissioning Obuasi in Ghana – a Dushnisky ‘must-do’, and other commitments.